Buzzfeed UK’s investigations editor says the news website is in a “really strong position” and remains a “major force in global news” after her team were named Pulitzer Prize finalists yesterday. Heidi Blake (pictured, centre) also revealed the difficulty of publishing the From Russia With Blood investigation, which won her team the Pulitzer nod, last summer as it fought for attention in the middle of a “news hurricane”. 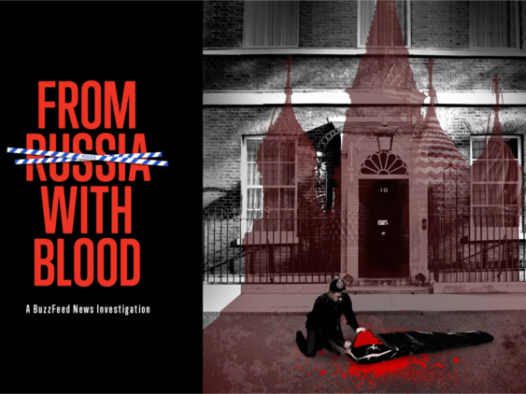 The investigation uncovered 14 mysterious deaths allegedly linked to Russia in the UK and one in the US in a series of seven stories – all of which are now being examined by police and the intelligence services. Although 23 UK journalists were made redundant from Buzzfeed at the start of this year, Blake tells Press Gazette her team was never at risk and that the website is “in a really strong position now going forward in the UK”. Blake’s team uses the same investigative traditions as the likes of The Sunday Times, where she was deputy editor of the Insight investigations team and assistant editor before her move to Buzzfeed in March 2015. But Buzzfeed, she says, finds more ways to connect these types of stories with a younger audience – such as recreating the mobile phone of one of the 14 dead connected to Russia so readers could interactively flick through his text messages and calls from the day he died. The Russian deaths investigation was read by millions of people, Blake says, but her team’s primary objective is to produce work that will have the greatest possible impact. “My team’s remit is about uncovering major wrongs perpetrated by people in positions of power in the public interest and the main objective there is to have real world impact and try to make real change for the better, and also to drive the news agenda and drive a social conversation about matters of major public interest,” she says. The investigation had its roots back in December 2014, when Blake met Buzzfeed’s global investigations editor Mark Schoofs for her job interview. 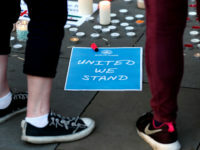 Businessman Scot Young had just fallen from a window and been impaled on the railings below, the latest in a group of connected people who had “died in quite gruesome circumstances,” Blake says. She told Schoofs this was the sort of story she wanted to investigate, and he was “immediately fascinated”. Once she began in the job early in 2015, Young’s death was the first story the team began looking into. Blake says: “We quickly obtained a huge trove of 250 boxes of documents about his business dealings and then ultimately we got hold of his computers and his mobile phones and were able to rebuild them and we managed to get bags of evidence from the scene of his death from the police. Publication eventually came in June last year despite it coinciding with a “news hurricane” around the snap general election, Grenfell Tower fire tragedy and multiple UK terror attacks. 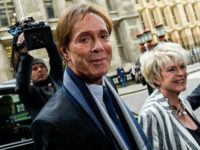 But the death of Russian businessman and whistleblower Alexander Perepilichny while out jogging near his Surrey home in 2012 was about to be reviewed by a coroner and, by this point, the team had a “cache of explosive evidence” connecting his death to Russia. 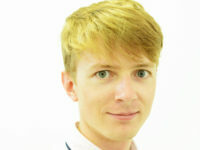 After it was published, the inquest was suspended for ten months while the coroner sought further information, but the story did not get the sort of wider attention the team had hoped for. It wasn’t until last month, after the poisoning of former Russian spy Sergei Skripal and his daughter Yulia in Salisbury, that the issue of alleged Russian assassinations in the UK “rocketed to the top of the news agenda”. Politicians began speaking about the issue in the House of Commons and the Government opened a review into all 14 deaths on UK soil exposed by the investigation. Blake says: “It was a really extraordinary case of huge impact, but just very delayed impact, and we are really very pleased that the Government is now taking this extremely disturbing pattern of assassinations in this country seriously and are investigating it properly. The UK investigations team of six has around ten other projects currently in the pipeline, but Blake says there is more to come in the Russian story. George Clooney’s production company, Smokehouse, has optioned the movie rights to the story while the team is also working on a book which will contain new revelations and be released in late 2018 or early 2019. Blake says the story proves the importance of investigative journalism, which she says is a “vital part of keeping a democratic society healthy and open and transparent”. 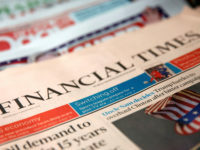 “Every news organisation should think hard about whether they have more resources that they can plough into their investigations team to do the sort of work that they can be really proud of at the end of the year and think: ‘That was the work that defined us this year and really made a difference and will have a lasting legacy,’” she says. “But I think that at the same time this is a wonderful time to be an investigative journalist. 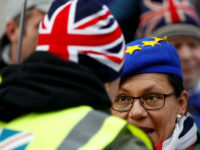 “The scourge of ‘fake news’ and also the rise of populism across Europe and the US and the fact that people are so politically polarised these days means that actually people are much more engaged in the social conversation about the way they want the world to be. She also paid tribute to the “many fantastic journalists” who “just day in, day out report the news fairly and accurately and rigorously – and that’s a huge public service as well”. “We’re very lucky to have lots of time to work on thrilling projects like this for two years but that’s a rare luxury and I’m very conscious that we’re extremely lucky,” she says. 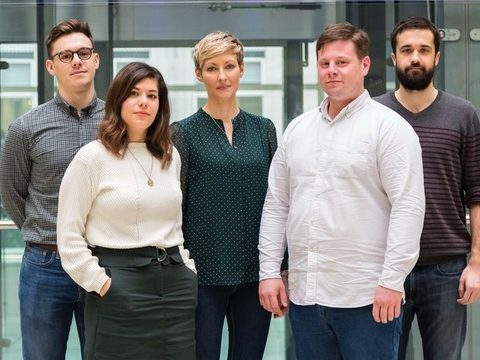 Buzzfeed’s UK investigations team includes reporters Tom Warren, Richard Holmes and Jane Bradley and deputy UK investigations editor Alex Campbell. Do the Russian allegations further our understanding or further an official narrative? Given the false image portrayed by Mr Clooney concerning the ‘white helmets’, what can be expected from another netflix blockbuster?